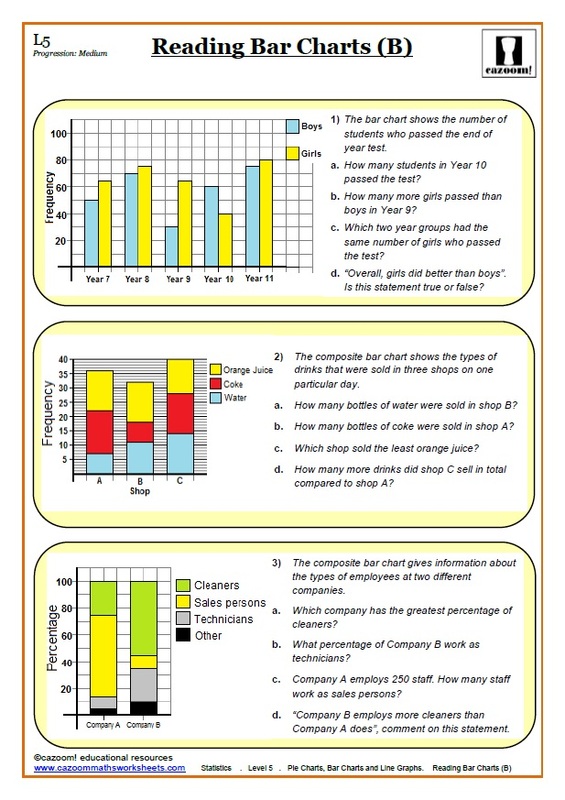 Histograms can often confuse students because although they look similar to a bar chart, they are used for different purposes. 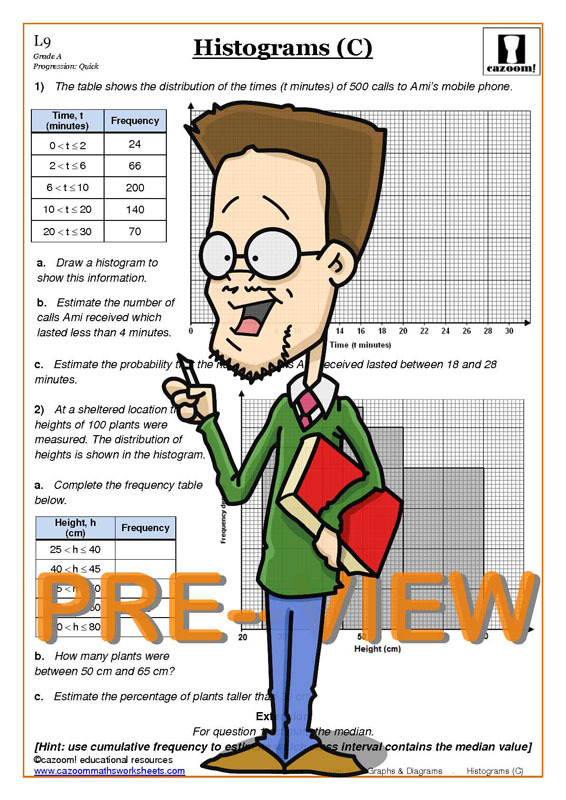 Our worksheets break down drawing and interpreting histograms into easy to follow steps to help students master histograms and frequency polygons. 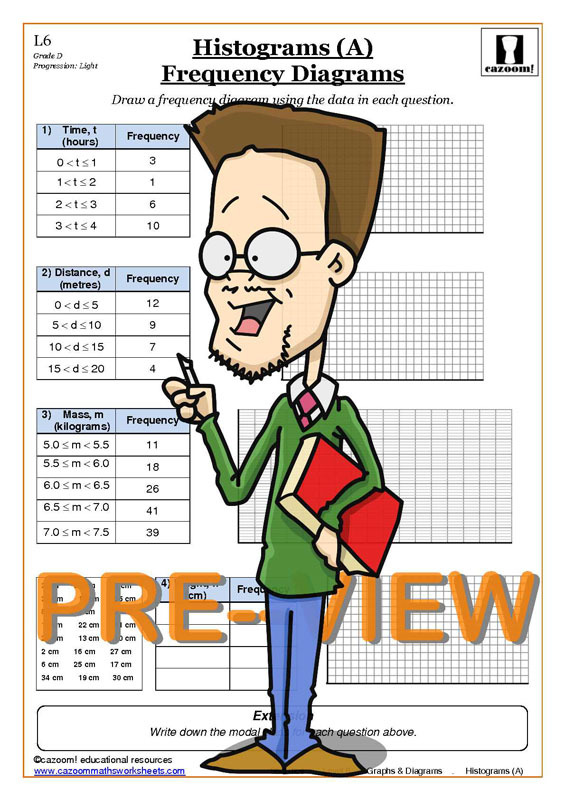 We have resources available to cover the breadth of this topic, from understanding line graphs to drawing histograms. 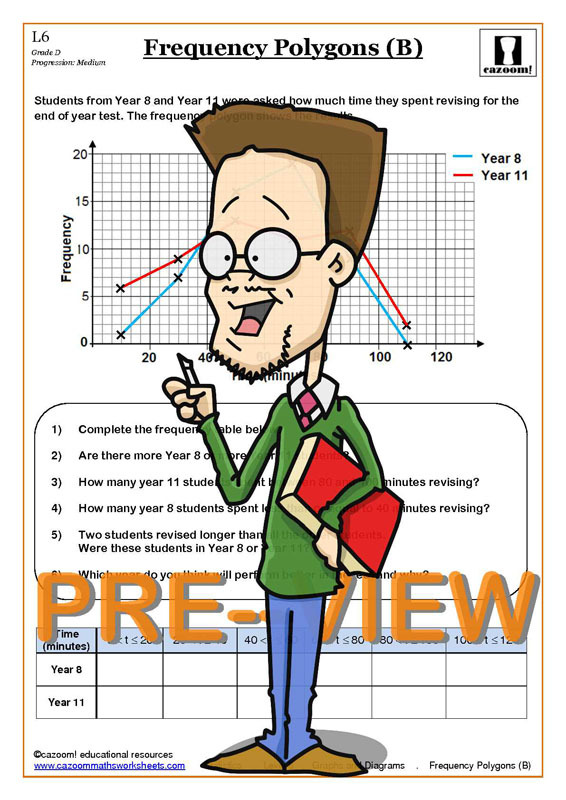 Answers are supplied with all of our worksheets so you can check how well your child or pupil is doing, and our activities are suitable for all abilities. 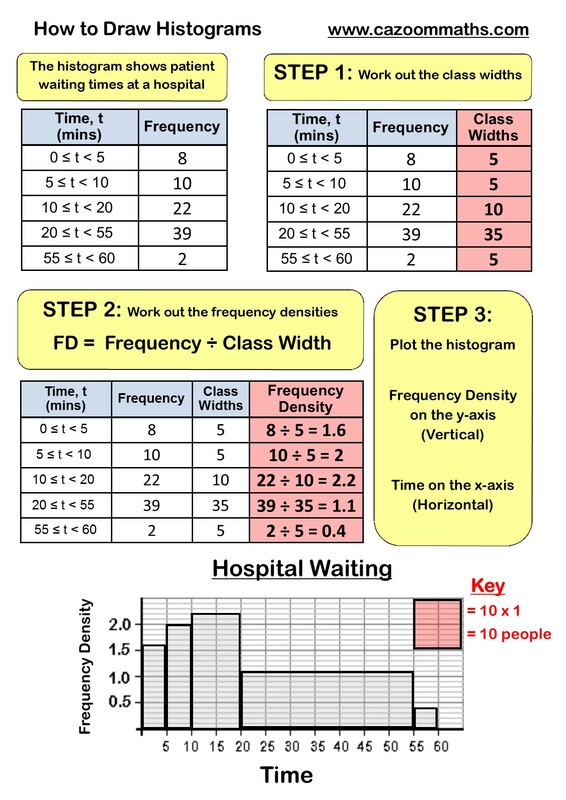 Printable Histograms and Frequency Polygon Worksheet with Answers. 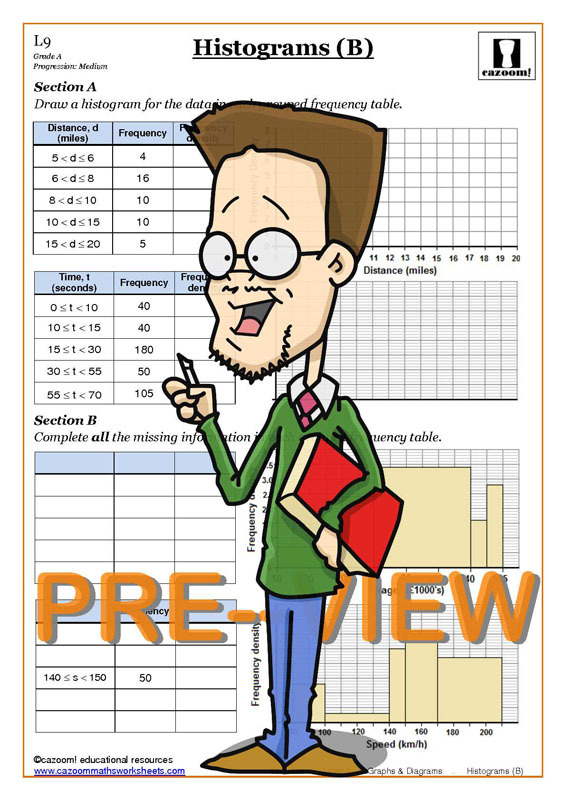 The histograms and frequency polygons worksheets available through Cazoom Maths will enable students to confidently answer any continuous data question they come across. Our clearly presented and engaging resources make frequency polygons enjoyable and easy to understand. 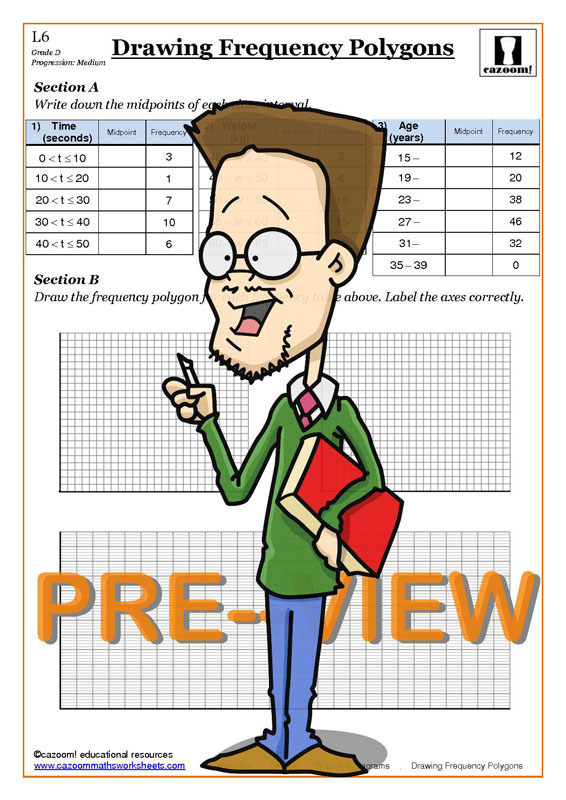 So if your child or pupil needs help with histograms, use our problem sheets to put them on the right track to success. A histogram is a useful method to depict a set of data. 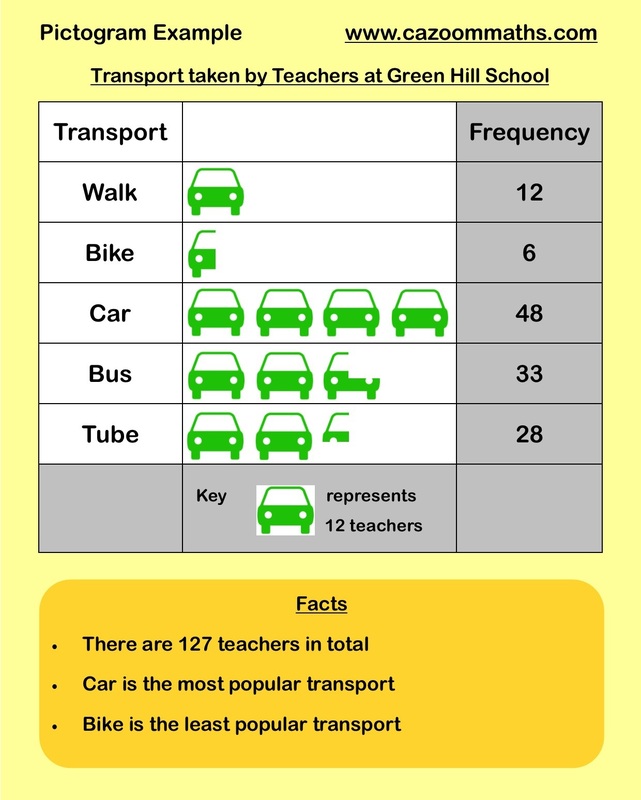 Histograms look very similar to bar charts but they are used for very different purposes. Histograms can be used to display large amounts of data in a clear format, and display the relative frequency of data values. From a histogram, the median can be determined, and the distribution of data can be determined. If the bars on the left or right are higher, the data is skewed, and if the bars in the centre are higher the data is symmetrical. Histograms are not just used in maths, they are used regularly by any company or organisation which handles data. When the nationwide census is taken every ten years, this data is often compiled and displayed in a histogram in order to be easily analysed. Whenever a survey is taken, a histogram will be created, and anyone who needs to use this data will have to understand how to interpret this type of graph. Histograms can be constructed on computers, but it is still important that students learn to draw and interpret histograms in school. 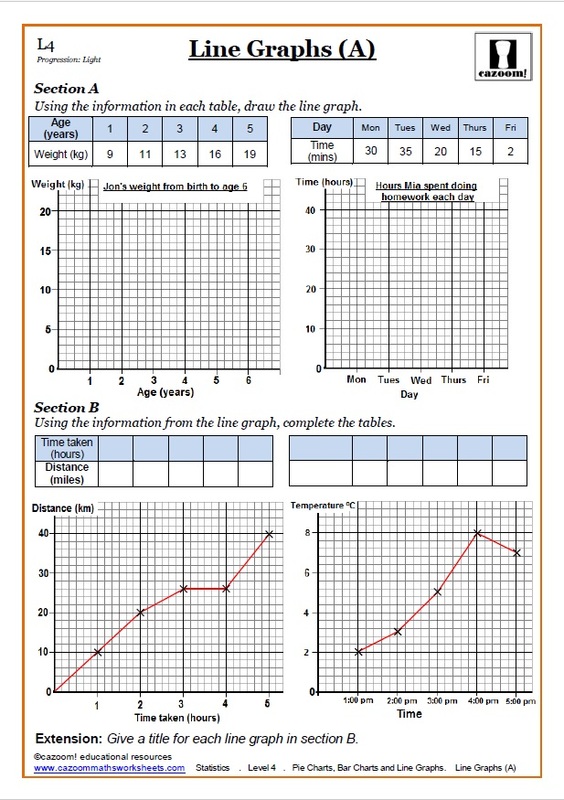 Worksheets on histograms can help students learn this essential skill by using fun activities to help them practice their knowledge. They will need this knowledge for their GCSE exams, and possibly in later life. You never know when you might need to understand a histogram.